When news broke General Motors wanted to close five North American factories, critics crept up from their caves to blast the Detroit automaker for even suggesting such a possibility. Politicians, unions, and employees were shocked, flabbergasted, and taken aback at the news, raking General Motors over the collective media coals. Democratic politicians took a page out of President Donald Trump’s playbook, threatening to end several tax breaks. Workers at Canada’s Oshawa plant walked off the line after the announcement. Just last week, employees there traveled to Windsor during the North American International Auto Show to protest the company’s decision. Even newly-elected Michigan Gov. Gretchen Whitmer said she had concerns about the announcement; however, there’s likely little she can do to adjust GM’s business decision. Workers at the affected facilities were hopeful new products from GM’s portfolio would save the factories. General Motors Chairman and CEO Mary Barra said last week at the Automotive News World Congress that new products coming to Detroit-Hamtramck and Lordstown Assembly are unlikely. “When we made the very difficult decision about the plants impacted, we have other plants that have lower capacity utilization that we’d want to increase,” Barra told reporters, according to the Detroit Free Press. While GM is planning to produce 20 new electric vehicles in the next few years, Barra was bullish on any of the products being assembled at the plants the company has proposed to close. Instead, General Motors is more interested in increasing production capacity at other facilities. Barra suggested employees at the affected plants transfer elsewhere. Currently, the company has 2,700 openings at factories in Flint, Michigan; Spring Hill, Tennessee; and Arlington, Texas, but just 1,500 UAW workers at affected plants have so far taken the transfer offer. There is always a chance in the future but it is not going to happen soon. There is no chance. These plants are being officially closed during contract negotiations this year. When the company offered other automakers to buy the plant, that should’ve been the writing on the wall, GM doesn’t need these plants. You love to comment like your some kind of insider, but your not. Everyone at Lordstown knows who you are, your a nobody, not even involved in the union or management. If people don’t take the transfer now, they will be stuck with no opportunity for awhile. Its hard to make a move, but it comes down to if people want to continue to work at GM or are able to support their families somewhere else in the slim job market of northeast Ohio. 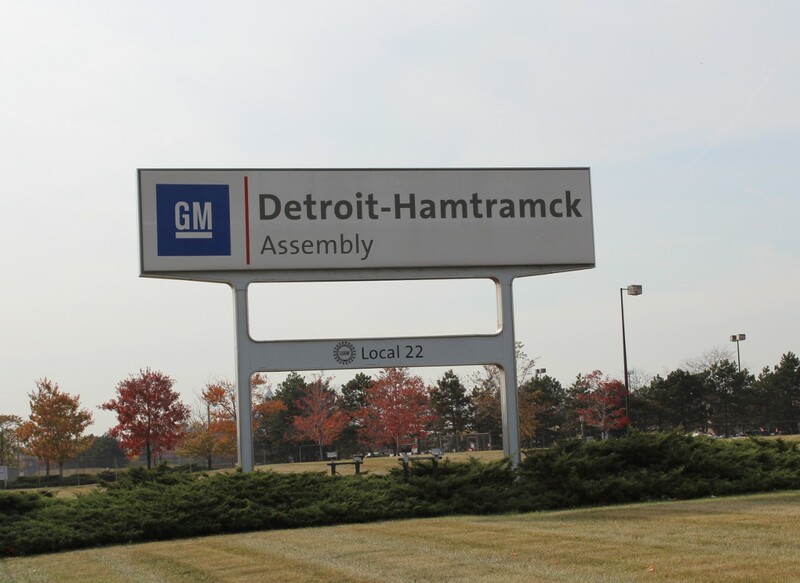 I think there is no chance of GM coming to an agreement with GM without some product provisions for Lordstown and Hamtramck. That issue is front and center for these negotiations. The UAW will probably bargain first with FCA who are adding plants in the US, then Ford. They will take what they bargained for at those two companies and demand GM meet the pattern. At this point, Ford employs more hourly people in the US than GM, and FCA is not far behind. For the UAW to roll on this issue would make them look very weak and almost assure that more “product unallocations” or whatever euthanism Machete Mary comes up with will occur and we can be assured of more crap from China, South Korea, and Mexico being sent to the US. What will likely happen, as in 2008, is that GM will agree to allocate product to one of the two assembly plants- even if it means moving product in from Mexico, South Korea, etc.- while keeping the other plant in warm idle for possible future production. In exchange, the UAW will make special provisions at these plants to allow for a lower wage for new hires. How many want to move to China ! At least retool Lordstown ,build the blazer there . So it would seem that Detroit and Hamtramck are going to be stuck with yet another decaying manufacturing facility. Who knows, in 60 years it many look like the derelict Packard plant. The cities of of Detroit and Hamtramck should rescind all of GM’s tax credits back to 1984 when that plant opened and demand payment. Also get rid of any tax abatements granted to GM for the Ren Cen as well. If you look at abandoned plant sites- especially in Michigan- they are basically weed-infested wastelands. The only thing of value I can think of was a small manufacturing plant that went up at the Pontiac Truck plant site and a seating plant that went up at part of the old Buick City site. I do not think it will take 60 years to trash these plants- at least in Detroit. I remember that Chrysler sold some of their closed plants to the city in 1982. Within a year, they were completely gutted by vandals and it took millions of dollars to clean up the sites. At this point, these cities should have a content to see who can make it the most expensive plant closing in GM’s history. Before the property is allowed to be sold, every square inch should be gone over to make sure all industrial contamination is gone. I am sure with Hamtramck, there has to be some language buried there that the plant was supposed to be there for more than 30 years after the city spent $400 million (in 1980s dollars) to buy the property and clear the site. Lordstown was where laid-off GM workers were encouraged to relocate to in 2010. Now, some will relocate again. I think you have Bullish and Bearish confused, in that you state that Ms. Barra was bullish on opportunities for new EVs being produced at the plants in jeopardy, when in fact she is Bearish on that prospect. Rather, the odds are that any new vehicles will be produced at other existing plants that are still operating at less than full utilization. Not trying to be “cute” with this, but it is a major difference in likely outcomes for the two US plants most readers seem to be concerned about. Comment immediately above was NOT meant in response to Captain Carl, but rather in response to GM Authority and the author of the article. Gotta laugh when hypocrites like Barra talk about “difficult decisions.” What would someone like that know about “difficulty”? To her a difficult decision is selecting what designer gown to wear to the next function. Assembly plant closures in Michigan seem commonplace by now, but something tells me GM has totally underestimated the long term impact of closing Lordstown and Oshawa.